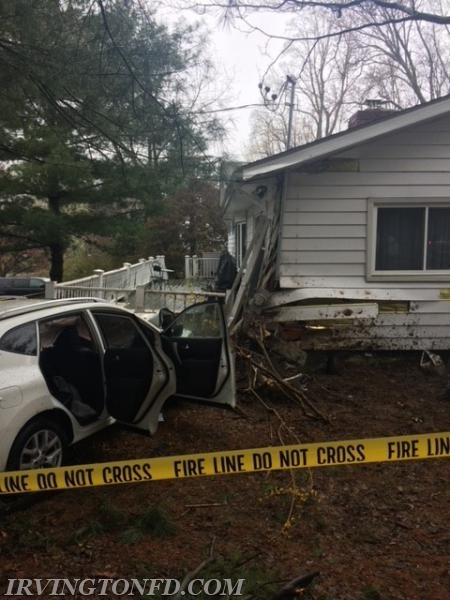 On Wednesday April 26th, the Irvington Fire Department was dispatched to a motor vehicle accident with a car in to a house. Upon arrival, units found a car crashed into the corner of a house. All parties were OK and luckily damage was relatively minimal. As a reminder, please take it slow when when the roads are slick.